Anyone with an interest in beautiful motoring books will probably be familiar with the James Flood series. Now out of print and in great demand on the auction circuit the ground breaking books detailed Australia’s early motoring heritage and many of the memorable cars then owned and held in this country. Like the books, many of the cars have now disappeared. 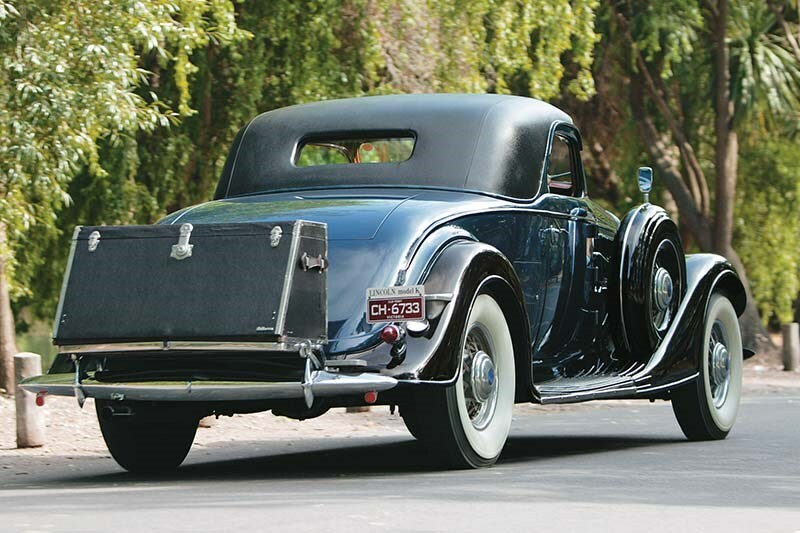 But this 1935 Lincoln Model K LeBaron Coupe, which was pictured and described in Flood’s Motoring Memories thus: "The car of Presidents, Kings, gangsters and film stars" and "The fastest stock car in the post war vintage years" is still in the country and has a special connection to the revered James Flood editions; the incredibly rare coupe was once the property of Harold Paynting, co-author of the book series. It’s believed only five RHD Model Ks with the LeBaron bodywork were produced and this coupe was delivered to a Mr J Symonds of Symonds Plywood Manufactures in NSW when new. 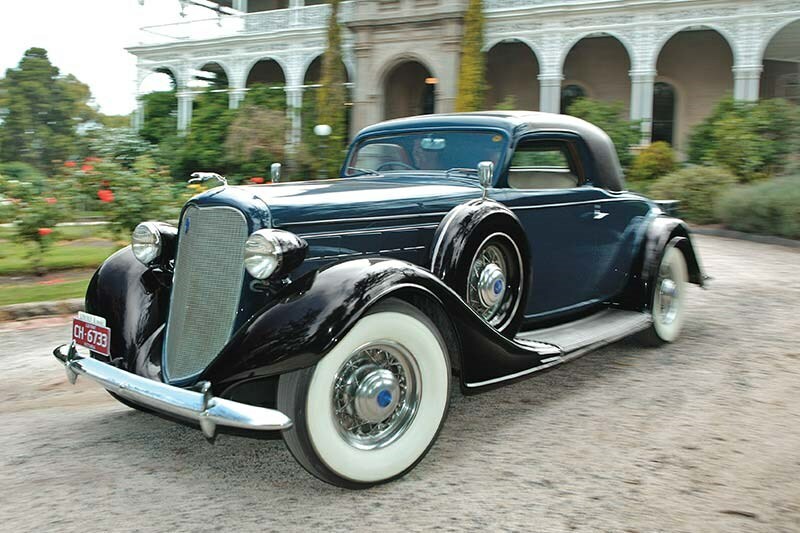 Along with the coupe came a Model K limousine which was driven in preference to the little-used LeBaron. In the early-1960s the car was sold to a Mr J Cooper in North-Central NSW; he apparently used it for a short time, but on one rare outing to the Dubbo races Cooper noticed some children climbing over the top of the two-door. That, it appears, was the last straw and the car was driven home and straight into a very long hibernation in the gentleman’s garage. 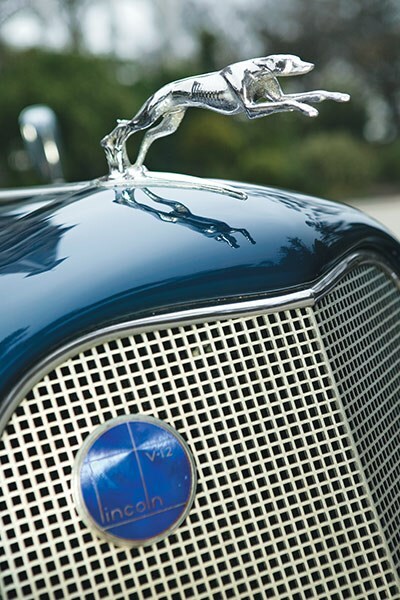 Much later the car was advertised for sale and was spotted by eagle-eyed Harold Paynting, who lived in Victoria. Quickly he got on the blower to the local Ford dealer asking him to inspect the vehicle for condition and authenticity. The decisive answer came back that the car was everything it was purported to be and the dealer warned Paynting that if he didn’t buy the car then he would. Paynting wasted no time purchasing the Lincoln and had it readied for a roadworthy test after which he collected the vehicle and drove it all the way back to Victoria. It is believed that Paynting owned the car for around five years, and used it sparingly. 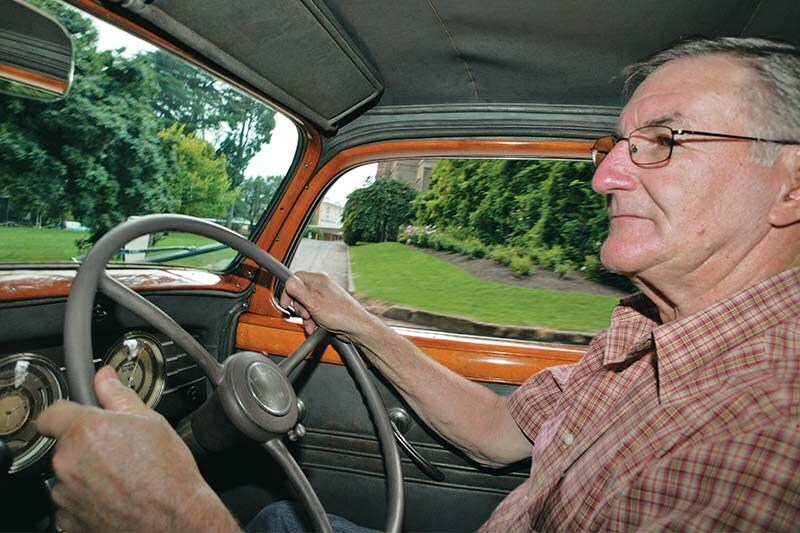 Meanwhile current and fourth owner, Bob Jones of Victoria, approached Paynting to purchase a Rolls-Royce he was advertising for sale around 20 years ago. When he went to pick up the car he noticed the very rare and valuable Model K LeBaron Coupe sitting in a corner. 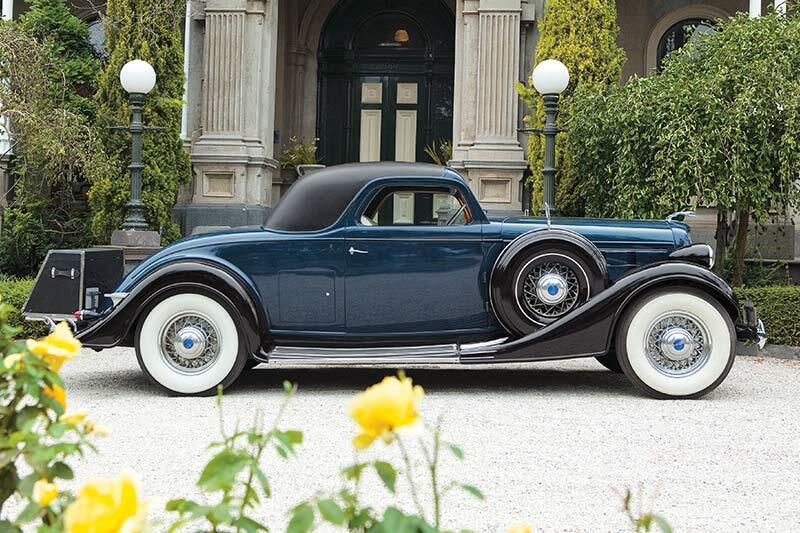 Son Andrew urged him not to leave without taking the blue coupe too so Bob bought the Roller and the Lincoln as well... as you do. "Harold was getting on in years and found the Lincoln too heavy to drive and he had too many cars so he wanted to get rid of it," Bob recalls. 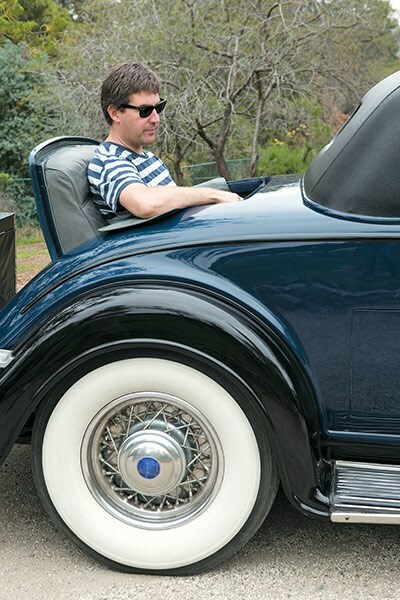 Priced at an amazing US$5400 during the Great Depression there’s little wonder the car was built in small numbers and why they are highly prized collectibles now; especially in rare specification like our featured car. It is believed only 23 coupes were produced with the LeBaron bodywork. Other body styles, including convertible and limousine examples, were executed by other body builders such as Brunn or Dietrich. 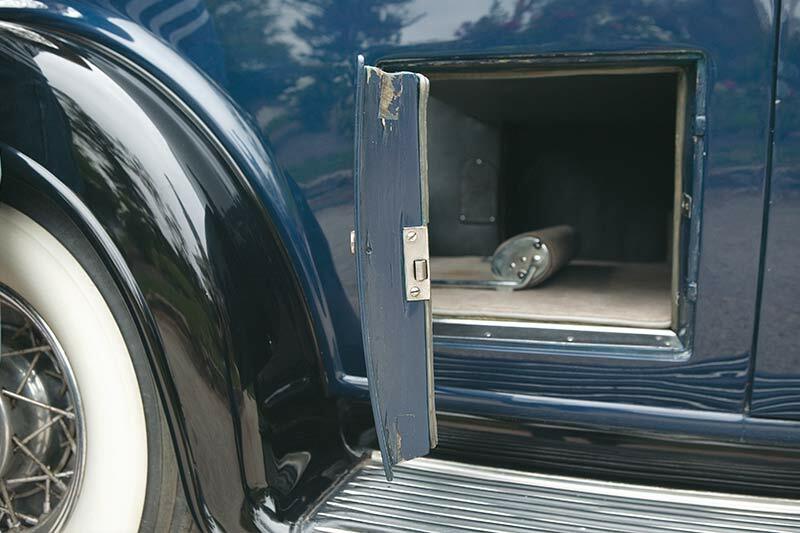 Neat coachbuilt additions on this particular model include a handy Dickey seat for additional passengers and a lockable side storage compartment capable of accommodating several golf bags. 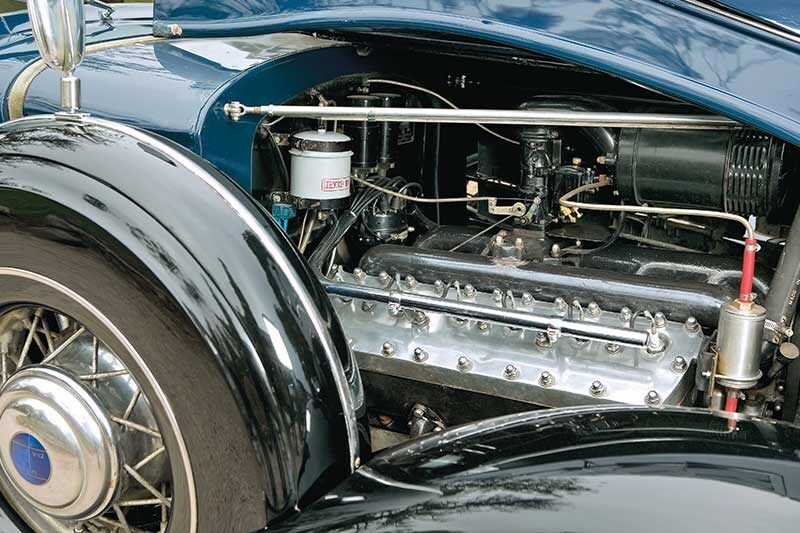 Bob’s car boasts a 6.8-litre 12-cylinder engine with three-speed gearbox complete with freewheel (engaged on downhill runs to save on engine/gearbox wear and tear and to allegedly improve fuel economy). 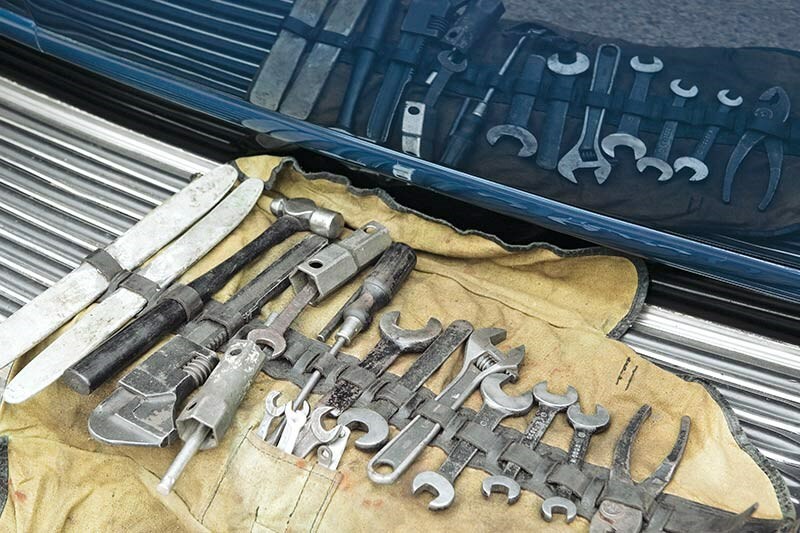 For a car now into its eighth decade this Model K remains in remarkably usable condition. All 12 cylinders in the 150hp engine activate quietly and without protest instantly and it idles so quietly as to be almost eerie. Bob reckons it will easily keep up with modern traffic but "you know you are driving a big car". "It has good brakes (mechanical with vacuum-assisted pedal) and plenty of power; it’s almost like an automatic once in top gear as it will just pull away effortlessly from a low speed. It is as smooth as silk. 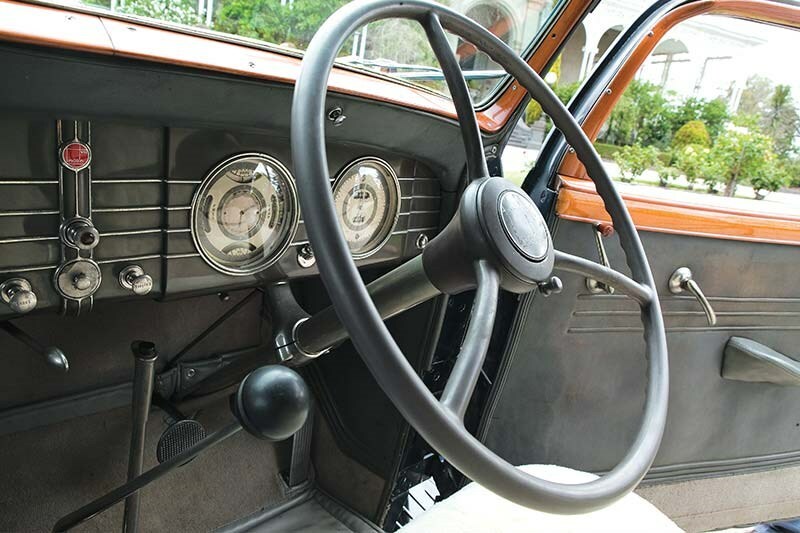 It is not as good as a modern car, obviously, but it is a pleasure to drive." Bob does report one major drawback however; poor rearwards visibility. Bob bought the car much as it is now with only 23,000miles on the clock, and in his 20 years of ownership the odometer has only crept up to 27,000. When Paynting owned it the car was repainted the original colour while the only work, apart from servicing, conducted by Bob has been some engine rectifications including removing the aluminium heads which had been effected by electrolysis. The trim remains totally original. 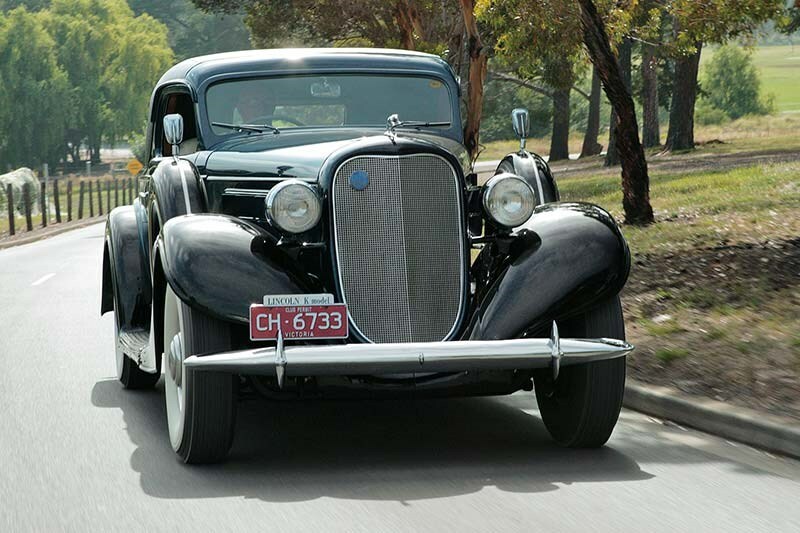 The coupe is used mainly for car club outings and the occasional show ’n shine such as Picnic at Hanging Rock which is where Unique Cars first caught up with it. Two of the biggest driving events Bob has entered the Model K in include the Bay to Birdwood run in South Australia and the RACV Great Ocean Road Tour. "The car did it easy," he boasts. With no equivalent vehicle in the country and so few world-wide Bob admits that putting a price on the car is very difficult. But when pressed admits an owner of a Cord once stated that Bob’s Lincoln was worth as much as his Cord, which he valued at $500,000. 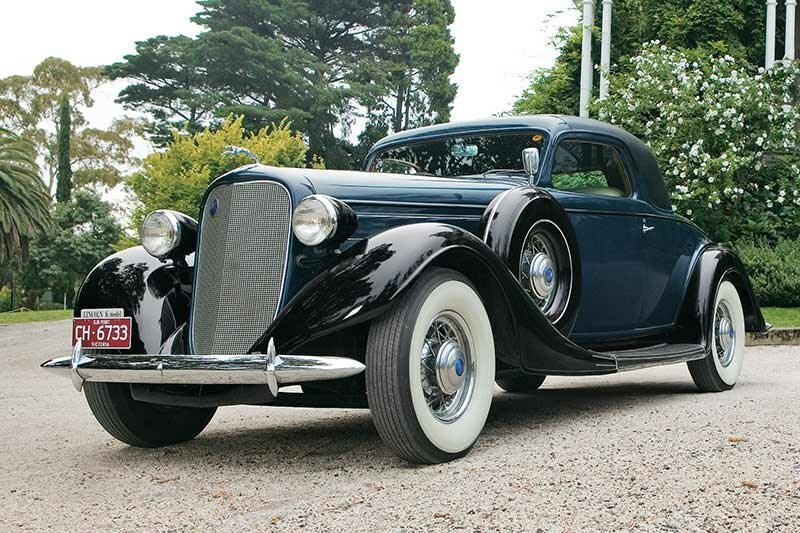 As a US Lincoln Owners’ Club member, the provenance of Bob’s coupe has been verified by that organisation. "They know the car well because the previous owner was also a member of the club. This is the only right-hand drive car left and there is only one known running left-hand drive example in the US; some more (LHD cars) are currently being restored over there. "I get people from time-to-time approaching me to sell it but I don’t want to part with it just yet," says the happy owner, waving us off as he drives silently into the distance. Produced from 1931-39 the Model K replaced Lincoln’s Model L. It was available with both 6.3-litre V8 (Model KA) and, standard from 1933, 6.3, 6.8 and 7.3-litre V12 engines (Model KB). 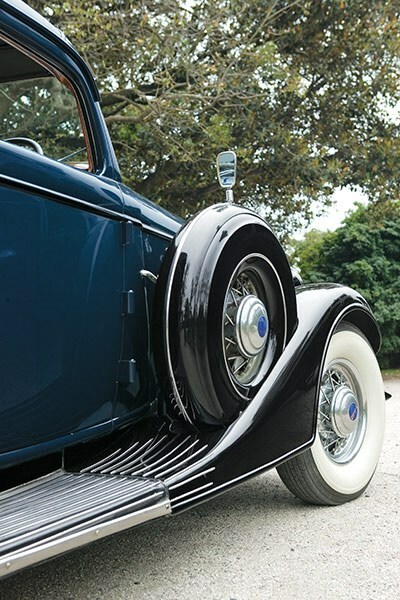 For a fairly rare model the Lincoln came in a bewildering array of coachbuilt body styles from two-door convertible coupes to seven-seat limousines and two wheelbase lengths of 136 and 145 inches. Various improvements were made to the model over its production life including the addition of thermostatic shock absorbers and adjustable-pressure brakes while several body improvements and a move to pressed steel wheels instead of wires kept trainspotters active. Lincoln’s introduction of the commendable and lower priced Zephyr in 1936 saw the hugely expensive Model K become redundant almost overnight, but it continued to be built in small numbers for another three years with production ceasing in 1939. In 1942 however, a special one-off ‘Sunshine Special’ Model K convertible limousine was prepared for President Roosevelt based on a 1939 model. 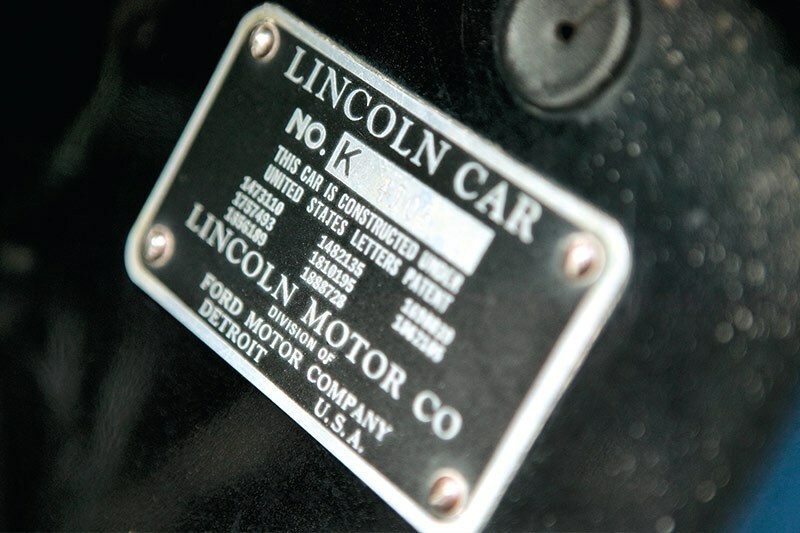 Named after US President Abraham Lincoln and founded in 1917 by Henry Leland to build aircraft engines Lincoln began upmarket car production shortly after WWI. Times were tough though; very quickly the company descended into bankruptcy and in 1922 it was purchased by the Ford Motor Company. 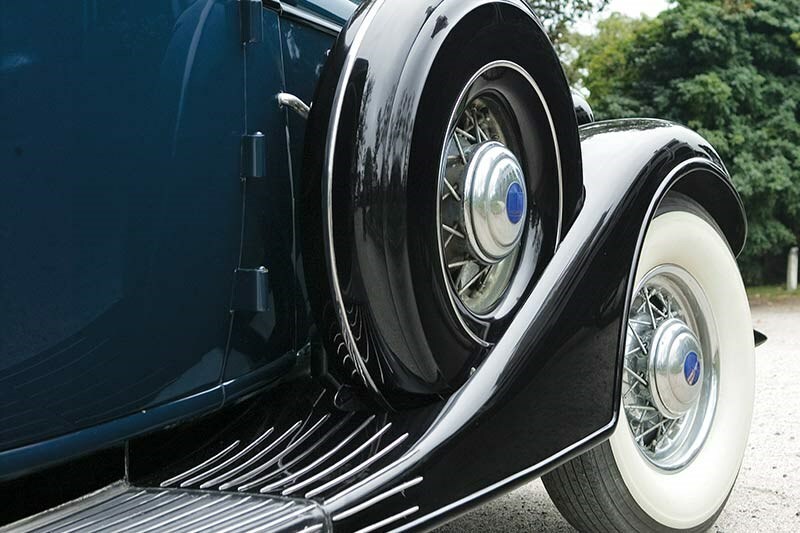 Under the Blue Oval’s control Lincoln consistently produced new models including the L and K Series and the Zephyr among many others. But perhaps its most enduring model was the famous Continental which, in name at least, was made between 1961-2002. 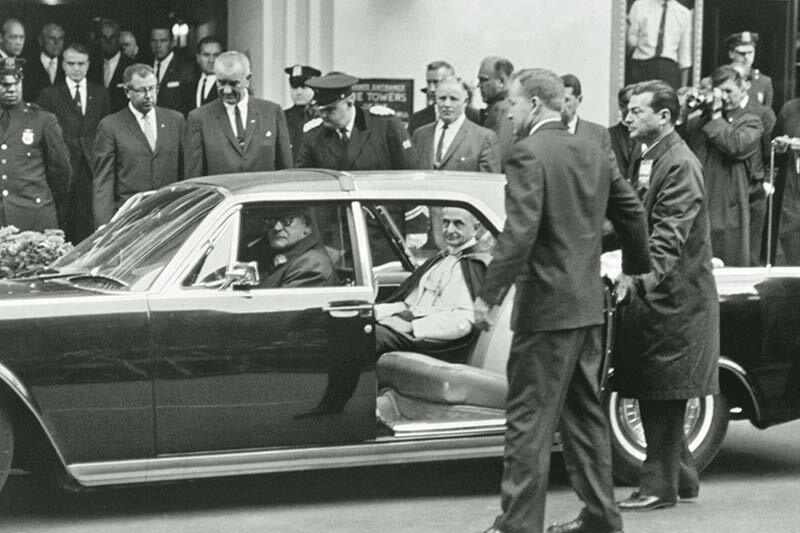 Battling alongside Packard and Cadillac for top dollar amongst America’s rich and famous Lincoln produced high quality, luxury touring cars and is perhaps best known as providers of US Presidential Limousines (pictured above transporting Pope Paul VI) including the famous Kennedy ‘death’ car. Locally the brand is best known to the Debutante Ball set; the Lincoln Town Car makes up a large proportion of Australia’s limousine fleet.